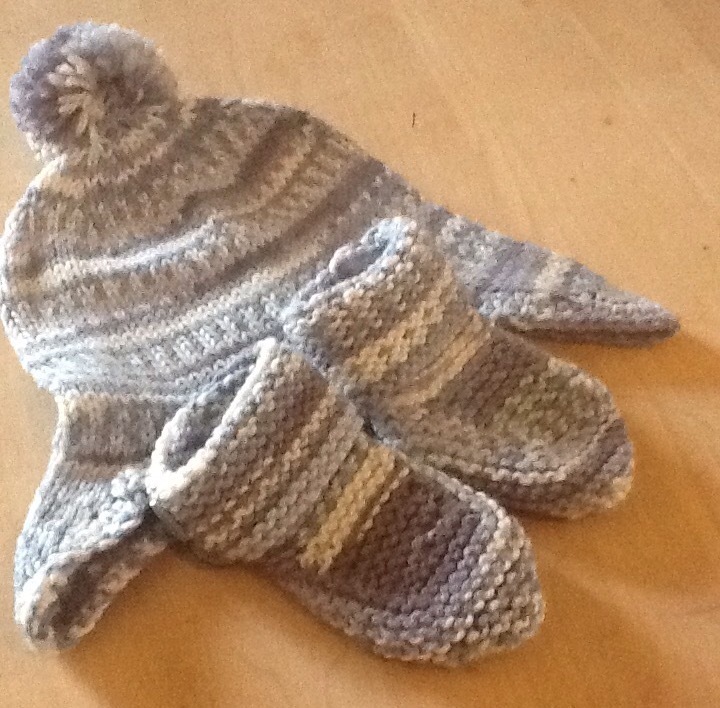 How to cope with jet lag- make you sweet niece and nephew (aged 2 and just 3 months) hats for what is left of the winter. 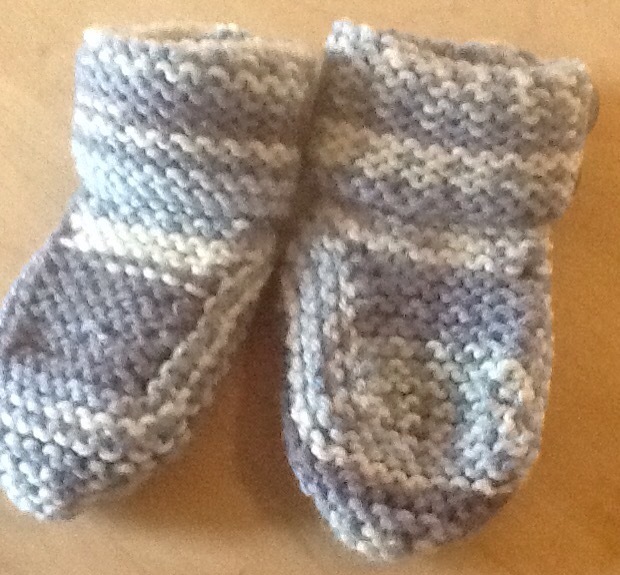 And then knit baby shoes. 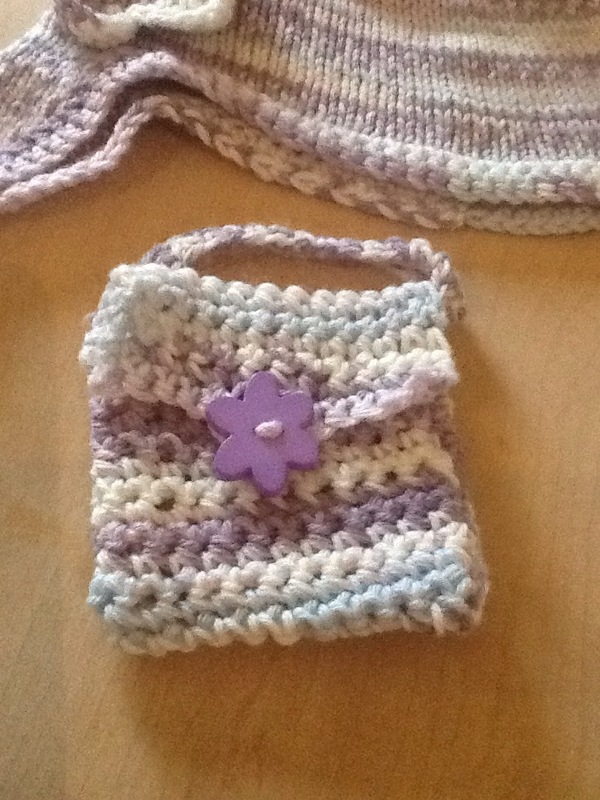 And then crochet a wee purse with the remaining wool. And then…you realise your body clock has adjusted again. Phew. 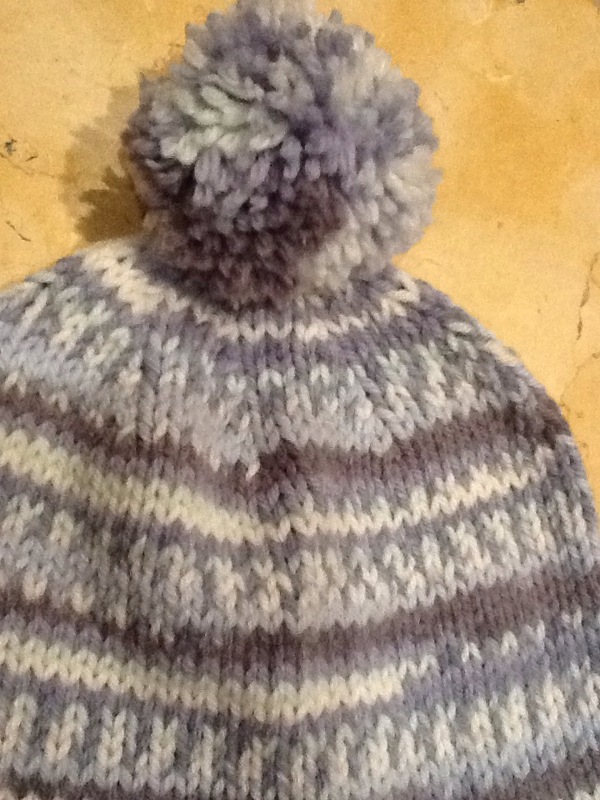 Using Sirdar Baby Crofter yarn in two colourways – purple with pale blue, and shades of blue. 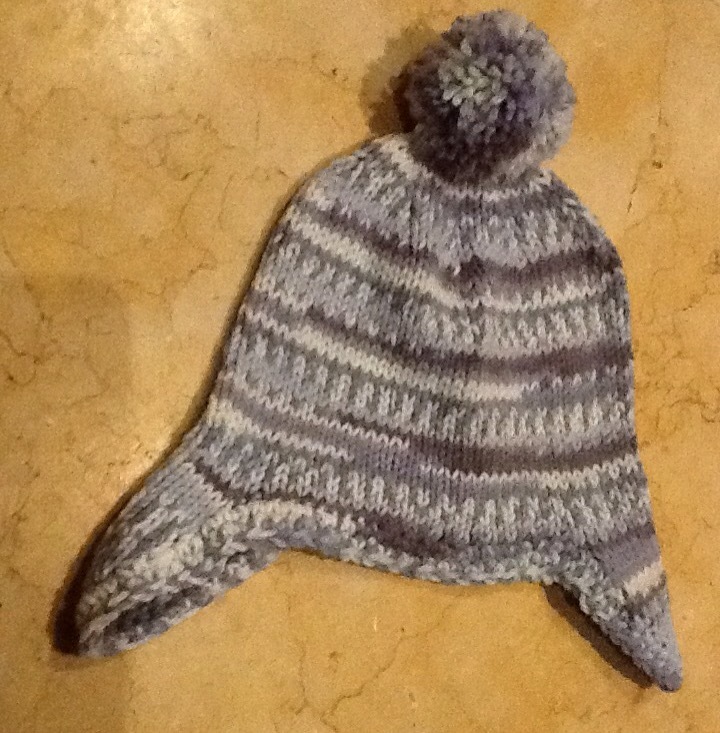 It’s lovely random wool which does knit up to give a fair isle effect. In stocking stitch, not so much in garter stitch. 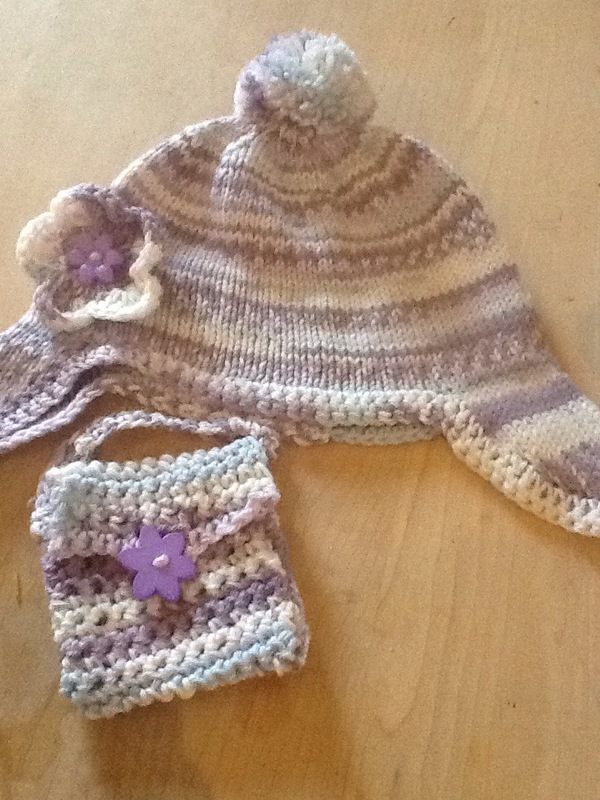 I crocheted a flower to adorn the purple hat, and attached it with a plastic flower button, I crocheted a long rectangle in double stitch, made a loop in the final row, double it over, stitched it up at the sides, attached another plastic flower button, and it’s a purse! When I was little I loved to carry small items around and I’m sure my two year old niece is no different! The shoes were very easy. 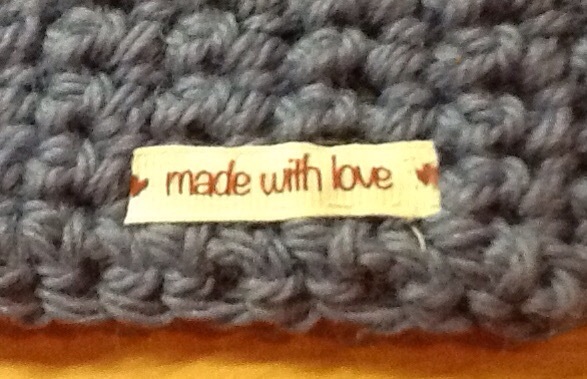 As a loose knitter I had to be aware of my tension so used finer needles from the outset. I hope they fit those tiny wee feet! 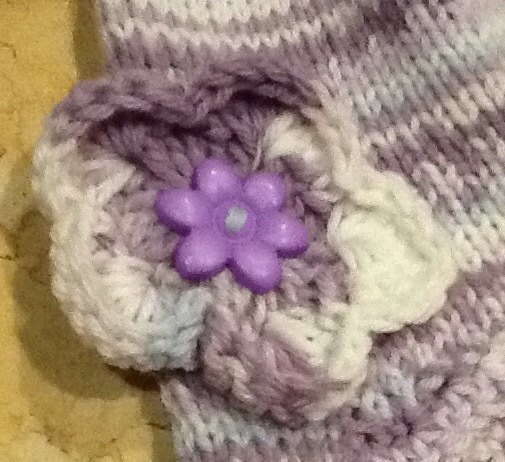 I used my new set of Clover Pom Pom. Makers size large. Very very easy to use. Everything will be getting Pom pommed now. 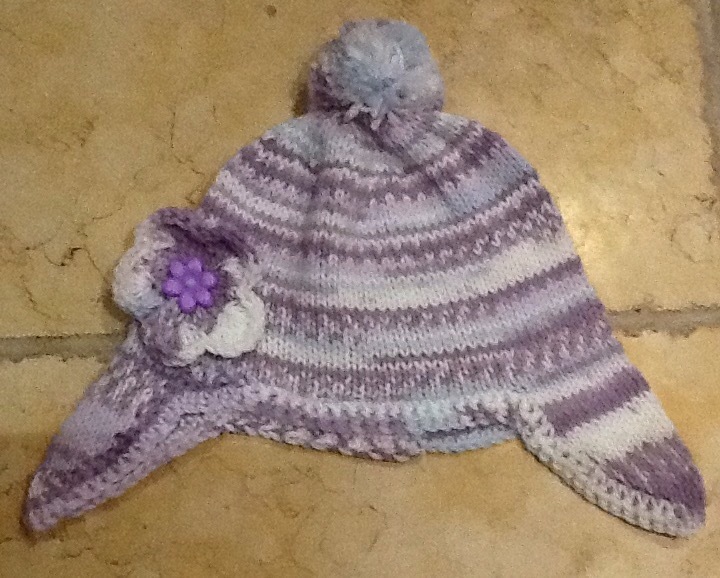 This entry was posted in craft, Knitting and tagged buttons, Clover pom pom maker, crochet, flower, hats, jet lag, kntting, purple, shoes, sirdar baby crofter, sirdar knitting patterns. Bookmark the permalink.